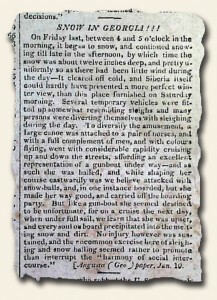 Today’s travels brought me to the Boston Gazette of February 20, 1812 where I found a continuing discussion about Captain Henry Purkitt and his removal from an official position. This lead to the inclusion of his honorable discharge which was signed by “G. 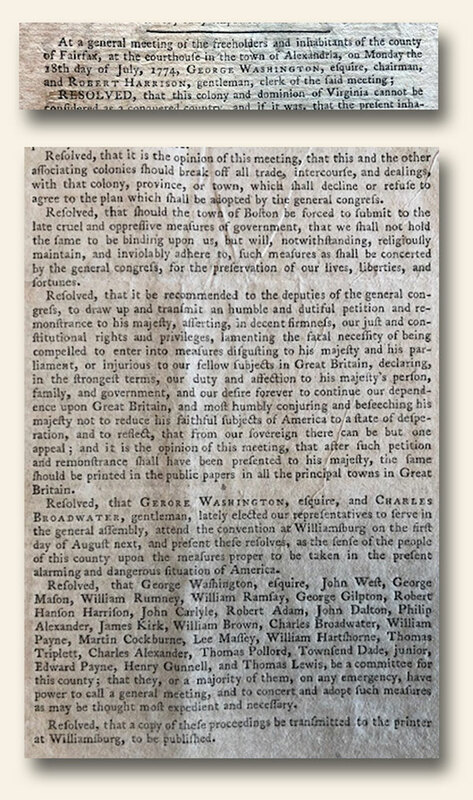 Washington” for his seven years and one month of faithful service. In doing some internet researching, I found that he was one of the youth that was a participant in the Boston Tea Party! 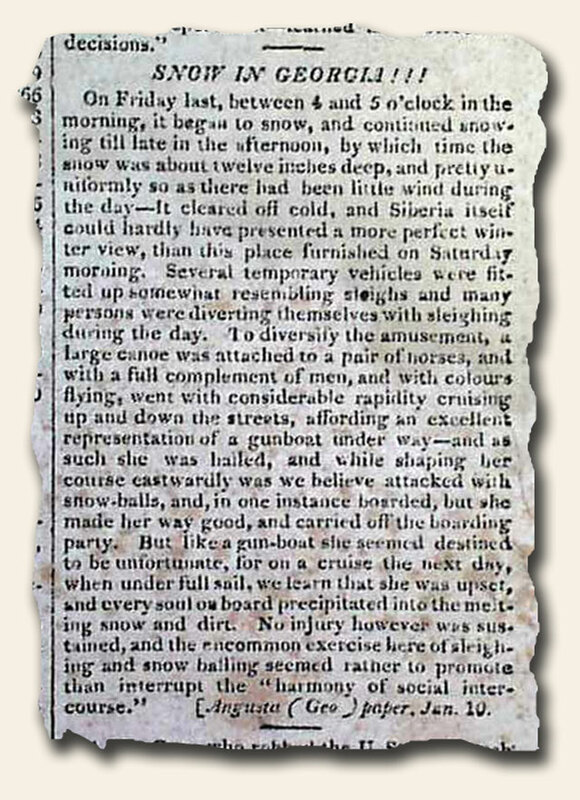 A report of Georgia receiving twelve inches of snow in one day was quite interesting! “…To diversify the amusement, a large canoe was attached to a pair of horses, and with a full complement men, and with colours flying, went with considerable rapidity cruising up an down the streets, affording an excellent representations of a gunboat under way… but like a gun-boat she seemed destined to be unfortunate… we learn that she was upset and every soul on board precipitated into the melting snow and dirt…” There was also mention of snowballs being thrown as well. I guess snow-canoeing never really took off though as it hasn’t made it into the Winter Olympics… yet!